Today (or rather yesterday by the time this will be posted) was a sad day. 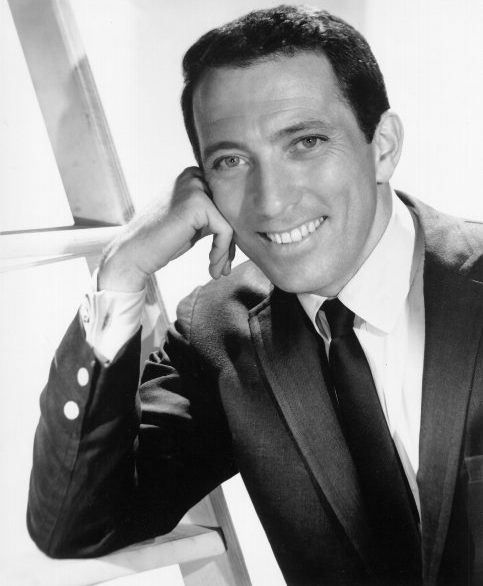 I was informed that Andy Williams had passed away. This news will simply pass many people by. I already received the response ‘Andy Who?’ when discussing the subject earlier on. But I am genuinely saddened by the news – I felt it necessary to post a tribute. Most people will be familiar with the timeless classic that is ‘Can’t Take My Eyes Off You’ but won’t even know that it is Williams crooning. Some will hum merrily along to ‘Music to Watch Girls By’ blissfully unaware of the artist. Likewise at Christmas everyone knows ‘The Most Wonderful Time of the Year’ but do not realise that it is arguably Williams who sang the most popular version of that festive song. Then of course there are great songs such as ‘Born Free’ and ‘The Impossible Dream’ which you will probably remember from a Honda advert a few years ago. My personal favourite is what is considered to be his signature song. ‘Moon River’, despite never being released as a single (something that should change in the immediate future really) is perhaps the song he will be remembered by. Written by Johnny Mercer, Williams was asked to sing it at the 1962 Oscars and it became a formidable part of his legacy. From a personal standpoint, the song is my ‘go-to’ shower song, and I sing it all the time. Such a delicious melody. Driven by Williams’ velvet vocal style, it has became a staple for karaoke singers and easy listeners everywhere. Williams has had a profound influence on singers throughout the subsequent eras that he lived through and will continue to do so. His death at 84 from bladder cancer is not only sad news for his friends, family and his fans but it also serves as a reminder that they simply don’t make ’em like that anymore. So Mr Williams – here’s to you. May you serve as an eternal reminder that your style will always be cool. Always. When I next kick back with a glass of rosé or some Disaronno and lemonade and I want some Easy Listening, or when I next sing ‘Moon River’ in the shower, I know I will smile and say ‘thank you’.